First Lady is a pure Afghani seed-strain offering the uniformity and rich flavour of old-time cultivars backed up with the vigour and punch of modern hybrid cannabis. This strain's direct ancestors originate in Afghanistan and Pakistan, in the high-altitude passes and lower steppes of the Hindu Kush, between Chitral and Kandahar. 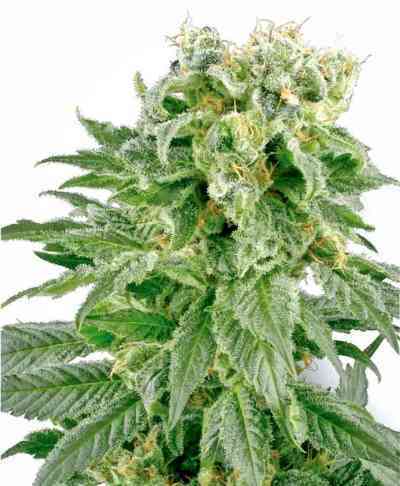 The prized Cannabis Afghanica strains of these neighbouring regions share very similar genotypes and strong Indica growth patterns, having been selected over years or centuries to enhance the qualities prized in traditional hashish production - resin content, stocky growth and quick, heavy flowering. First Lady is thus more like an extended back-crossing than a hybrid, because she reunites fundamentally similar gene-pools separated by time and geography. As a result, First Lady seedlings are consistent, uniform and bursting with life. Phenotype variation is subtle, and is mostly seen in the formation of leaf-blades and calyxes.This distinguished Lady is fast and powerful with trouble-free growth and flowering. She will reward even novice indoor growers with bountiful bunches of buds when given the basic essentials of growing - healthy soil, good lighting and ventilation. More experienced growers can easily bring out the best in First Lady with any system or method they choose.